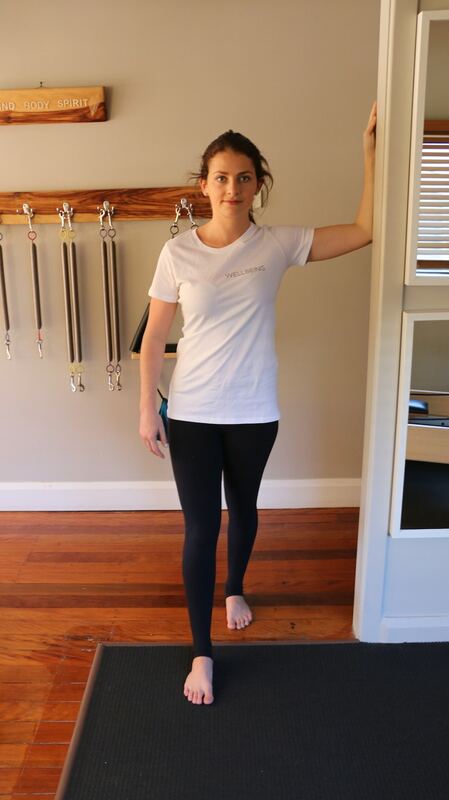 Poor posture is something we’re constantly correcting in the studio and one of the most common complaints of our clientele. There are SO many things that can contribute to poor posture. Prolonged sitting, time on devices, your job, carrying kids around, breastfeeding, poor mental/emotional health… the list goes on. Everyone is a little different of course and when correcting posture it really requires a whole body approach. BUT, given that we’re all pressed for time and that most people complain about rounded shoulders I thought I’d start there and give you my top 3 exercises that you can do right now, to help correct your round shouldered posture. 1. Pec stretches. Your pec muscles (major and minor) sit on the front of your chest and attach to your sternum, collarbones and shoulders/arms. If these bad boys get too tight they will pull your shoulders forward. Exactly what we’re trying to avoid! So try these exercises, the ball is my preference but the wall works fine if you don’t have one! Kneel on hands and knees with a neutral spine. Hands under shoulders, Knees under hips. Place one arm in a right angle on top of the ball. 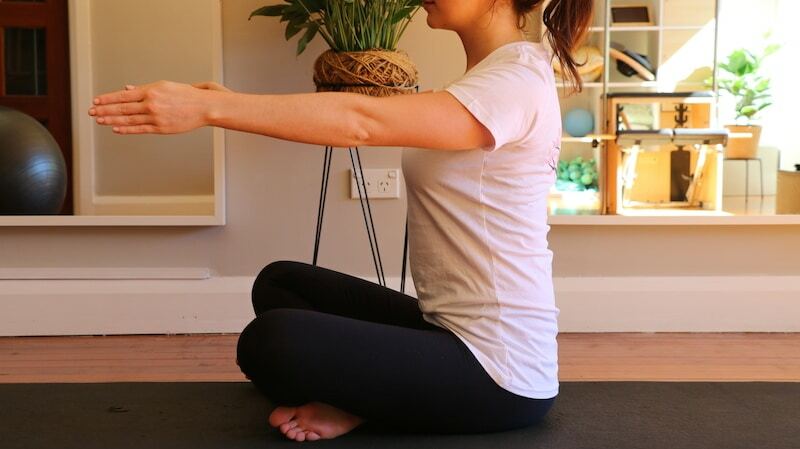 Turn your head the opposite way and lean into your shoulder gently until you feel a stretch. Hold for at least 1 minute. Raise your arm at 90 degrees to your shoulder and at the elbow. Place your forearm against a door frame and step your opposite foot forward past the door frame until you feel a gentle stretch. Hold for at least 1 minute. 2. Protraction/retraction. Technically not a stretch, but don’t hold that against me. It’s a super important action for your shoulders and helps to start opening the chest and fire your serratus anterior and rhomboid muscles which will help hold your shoulder blades in the right spot. Sit comfortably with a tall spine. Lift your arms up to be parallel with the floor without allowing your shoulders to lift towards your ears. Keeping your back still and in neutral (sit in a chair at first if required) push your finger tips out in front of you (your shoulders will roll forwards in protraction). 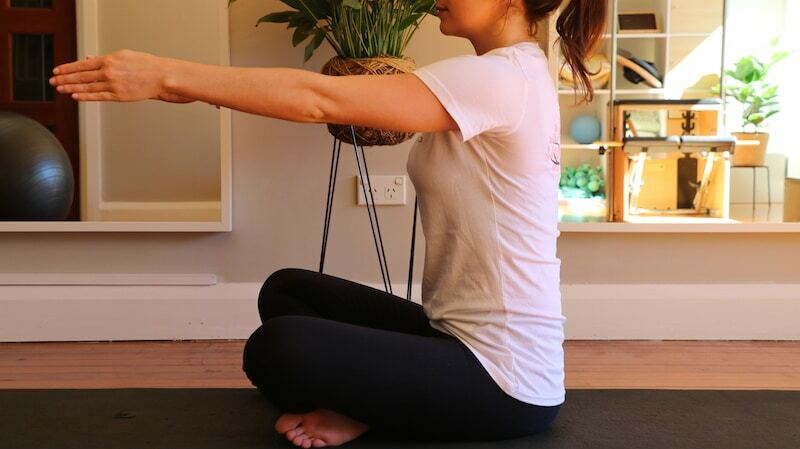 Then, keeping your arms straight bring your fingers back towards you by squeezing your shoulder blades together at the back opening through the front of the shoulders and chest (into retraction). Repeat at least 10 times. 3. Thoracic (middle) spine extension stretching. This is a biggie. Having a tight/rigid thoracic spine is one of the most limiting factors I see with people trying to correct their posture! A movable spine is a healthy spine and a rigid thoracic is likely going to end in an injured lumbar (lower) spine. We see this All. The. Time. So let’s get some movement happening in those thoracic spines! Go gently, it’s not something you want to force, start gradually and then increase it. I love the ball for this as it’s nice and gentle. Sit on the ball and place your hands behind your head. Slowly start to walk your feet forwards and lower your body down onto the ball opening into a gentle backbend. Keep your head supported in your hands. You should be able to breathe steadily. Hold this position for at least 1 minute. You can gently rock forwards and back if it feels comfortable for you to do so. If you would like some further info on correcting your round shouldered posture then download our Improving Posture ebook here. It’s got a great list of at-home stretches and exercises to start improving your posture and the best part, it’s free! Or if you’re on the Gold Coast and want a more personalised approach, work with us one on one. You can make an appointment here.